This fall, Pastaworks will team with local meat and fish purveyors to create the new Providore Fine Foods boutique grocer on NE Sandy Boulevard. In 2012, developer Kevin Cavenaugh took food carts’ entrepreneurial spirit to the next level: creating low-cost, low-risk micro-spaces with indoor amenities. He rehabbed an old Timberline Dodge auto shop on NE Sandy Boulevard, and dubbed it The Ocean. The experiment paid off with a successful neighborhood fast-casual eating complex that houses five miniature dining spots (Uno Mas taqueria to the Sudra’s vegan Indian) as well as Tails & Trotters pig-loving meat shop. Now, a new market hopes to further transform this low key corner into a food destination. Eat Beat has learned that the 6,000 square-foot Providore Fine Foods will open this fall adjacent to The Ocean in the DeSoto Building at 2340 NE Sandy Boulevard. Pastaworks, SE Hawthorne’s venerable food-cheese-wine shop will anchor the project. Other meat, fish, and produce purveyors have not yet been announced. Pastaworks’ honchos and Providore owners Kevin de Garmo and Kaie Wellman are working with Cavenaugh’s Guerrilla Development on the build-out. 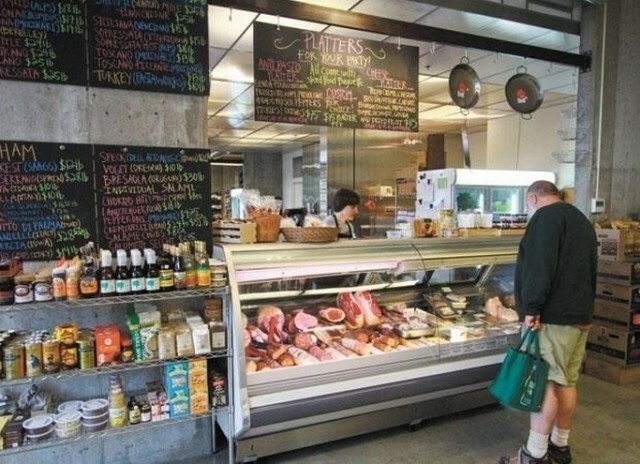 The shopping experience should be similar to their Northwest Portland City Market, which brings Pastaworks pastas, cheeses, and wines under the same roof as Chop charcuterie, as well as produce and Newman’s Fish Market. Stay tuned for more information as it emerges.